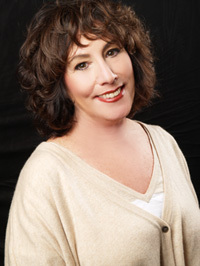 Marilyn Karpoff has been doing both residential and commercial real estate sales and leasing for over 38 years. During this time she has developed a keen sense on identifying real estate trends and techniques that ensure the best possible service to her clients. Marilyn’s diverse background includes positions as Mortgage Manager at Saxon Capital; Director of Acquisitions for New Plan, a highly respected Real Estate Investment Trust; as a commercial broker selling pre-construction, office buildings, apartment buildings, shopping centers, as well as managing development; and as an exclusive broker for Storage USA and Extra Space. Since then, Marilyn has seen much success in both the residential and commercial real estate field through her real estate brokerage firm, serving both New York and New Jersey. Bruria Ullman has lived and worked in New York since 1982. During that time, she developed a deep understanding of Manhattan and Queens’ ever exchanging and always vibrant neighborhoods, and the different reasons New Yorkers in various stages of life find them desirable. Prior to real estate, she worked in property management, and before that in insurance. Daniel is very passionate about both the residential, and industrial commercial real estate in the New York Tristate area. With the use of his excellent interpersonal skills, he is great at negotiating and determined to always find you the best deal possible. If you choose him as your agent, you have definitely made a wise decision. He works very diligently to assure that you find the perfect home and will be there with you through every step of the way. He is always available, and through his promptness, follow up, knowledge of the real estate purchasing process, and market you will feel reassured that you have chosen the right agent to have on your side. You can definitely count on him for all of your real estate needs. Susan Berman is a multi-faceted Real Estate executive who has achieved results based on her outstanding sales, project management, negotiation, and technology expertise. As a dynamic business leader with bottom line accomplishments, she gained widespread experience in high-level communication, customer service, and creative problem solving. Throughout her 15+ years in the real estate business, she has identified new opportunities, built loyal relationships, and managed operations with a highly-organized, detail-oriented efficiency. Susan has demonstrated excellent interpersonal skills with extensive attention to detail and superior customer service. Within the Real Estate environment, Susan has used technology as a primary tool in sales and leasing properties. She maintains impeccable records so all details are addressed such as selling costs, tax records, personal property values, and distribution details for future reference. Ronit Ashbal Schwab attended Hunter College where he earned a BS degree in Psychology and Chemistry as well as getting an MSW degree from Hunter School of Social Work. He has 20 years of experience as a clinician in private practice. With 31 years of experience in family Real Estate management business he decided to received his broker license in 2014 in New York and joined with Karpoff Affiliates. Ronit ’s depth of experience in many areas promises to add insights and innovations to conventional approaches in the Real Estate field. Jack Lelewski was born and raised in Brooklyn and has lived there his entire life and knows how hectic it can be living in a big city.He has worked for the past 20 years in a large Manhattan residential building in various jobs but mostly scheduling move ins/move outs and working with Real Estate agents/brokers to make these transitions go as smoothly as possible. He looks forward to helping you obtain an apartment to your liking because a residence is not just a home but a sanctuary with comfort and peace. Michael Fales Lomasney sources building acquisitions and development/redevelopment real estate projects in New York. He services private family offices and institutional clients for all asset classes. Michael vets and researches each opportunity to ensure they meet the standards for his clients. Manhattan - 40ksf+ class C, value-add midtown O/L assets for redevelopment. Commercial and Residential development and redevelopment opportunities sought for single client or joint venture partnership.